Court documents unsealed Friday revealed a federal court order to Apple Inc. to assist the FBI in unlocking the phone of alleged gang member Desmond Crawford. In a letter from Apple’s lawyer Marc Zwillinger, the company refused to comply with the actions ordered by the U.S. District Court. An affidavit of FBI Special Agent Matthew Knight described phone calls between Crawford and other members of a gang called the Columbia Point Dawgs. The calls were intercepted by the FBI. “During our investigation of the CPD, we intercepted calls between CPD members/associates in which they discussed the use of violence to further the gang’s goals,” the affidavit stated. The FBI intercepted “several calls” that revealed that Crawford was involved in several drug deals as well as the shooting of one unidentified “John Doe,” according to the affidavit. For these reasons, Knight applied for a court order to be granted access to the full digital content of Crawford’s iPhone, which was approved Feb 1. The American Civil Liberties Union urged the U.S. Department of Justice to unseal all court documents relating to the case, which resulted in the documents’ release Friday. The ACLU disapproved of the court order to unlock the phone, according to Technology for Liberty Program Director Kade Crockford. The court order was based on the All Writs Act, which allows courts to order corporations to disclose information. Because the All Writs Act was applied in the 1977 case United States v. New York Telephone Co., the court order aimed to apply it to Crawford’s case as well. Crockford explained that while the New York Telephone Co. owned the information released to the government, as it was billing information, Apple does not own the information on Crawford’s phone or any other. Crockford said the U.S. Supreme Court has ordered access to more than 60 phones, few of which were involved in terrorism cases. The most famous case has been one involving the Dec. 2 shooting in San Bernardino. “Apple didn’t want to do what the government was asking it to do because it knew that if the government got precedent through a court to be able to force Apple to do this in the San Bernardino case, it would be able to get precedent to force Apple to do this in every criminal case,” Crockford said. Access to the encrypted information on iPhones, Crockford explained, would be “fundamentally dangerous,” as that information could be accessed by others attempting to hack the encryption. The letter from Zwillinger was written in response to the order from the U.S. Attorney’s Office for the Central District of California, and highlighted several instances wherein Apple objected the court orders. “Apple responds that following its objection or other response to each request there as not been any final disposition thereof to Apple’s knowledge, and Apple has not agreed to perform any services on the devices to which those requests are directed,” Zwillinger wrote in the letter. Several Boston residents shared mixed opinions regarding Apple’s decision. 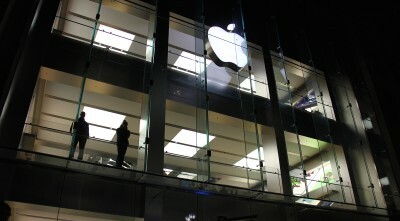 Many said they disapproved of Apple’s objection. Mike Hachey, 28, of Dorchester, said he does not value rights to privacy, and Apple should comply to all court orders. Michael Gill, 62, of Brighton, agreed that Apple should comply with the order if there is probable cause. Kedijah Cook, 35, of Roxbury, supported Apple in its objection. Author: Kennedy DavisKennedy serves as a city associate for the Daily Free Press. A freshman, she studies English with a minor in philosophy. As a journalist, Kennedy shows special interest in crime and local politics. You can follow her on Twitter at @stellarkenn.